I implement a LOT of customers on our hosted solution every year, here are some tips we’ve learned along the way that may be helpful to you. Some Background: Blue Link provides hosted Enterprise Resource Planning (ERP) software either as an on premises or as a hosted solution. Lately, a lot of people are choosing the hosted solution so I’ve implemented a lot of hosted customers, both with full remote desktop sessions and using the Windows Server 2008 R2 RemoteApp feature as well. How to make everything bigger? How to make printing Invoices and other documents a LOT faster? How to copy files to/from the hosted environment? So you bought yourself a nice high resolution computer monitor but now you find yourself squinting to see the text on the hosted applications? 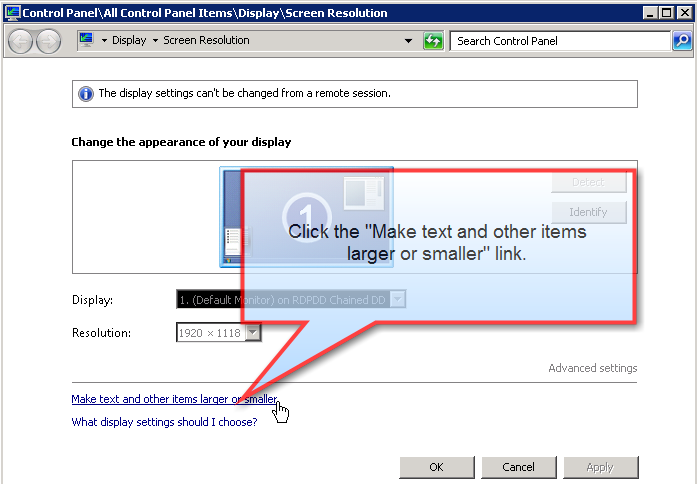 If so you may want to consider changing the Dots Per Inch (DPI) setting in your remote desktop session. Before you begin, your server techs first have to make sure that this Microsoft KB article has been applied to your server: http://support.microsoft.com/kb/2726399. If you’re a Blue Link customer reading this, we’ve already applied that patch to your hosted servers, so you can skip that step. 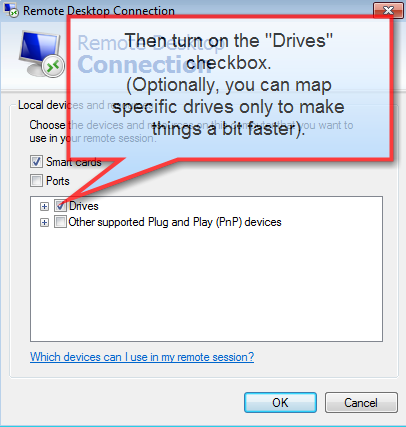 This particular setting has to be changed in the “full” remote desktop, but once changed there, it will also affect any apps you run in the Remote App mode as well. Close any copies you may have open of the Blue Link and other RemoteApps running from the Remote Desktop environment (Outlook, Excel, Word, etc). 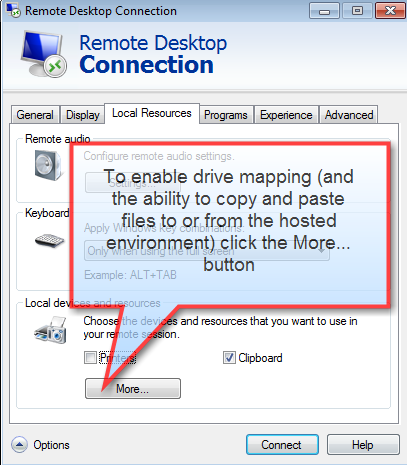 Connect to the remote desktop session using the “full” remote desktop client. When you connect you should be able to see the desktop on the server, and a different start menu. The next time you re-connect everything will be larger, and potentially easier to read. 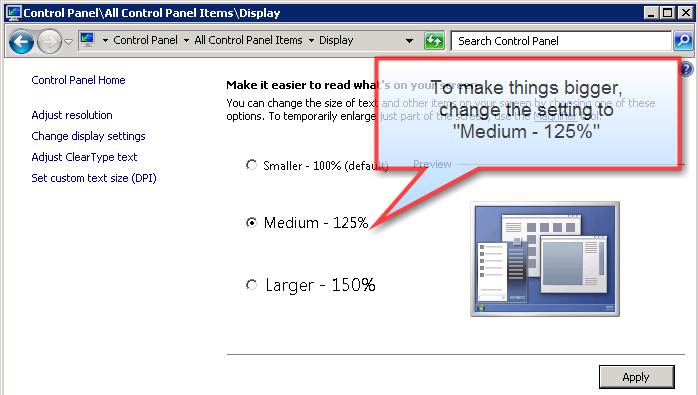 This setting will be user-specific, so some users can choose to zoom their screens, others can leave them as is. Today I was at a client site where the printing of a single invoice was taking 15 seconds… printing an invoice should take anywhere from 2 to 10 seconds depending on how many lines it contains, but in general a 15 line invoice should print in about 5-7 seconds. You may need some technical assistance from your network IT staff and from Blue Link support to get this particular tip implemented, but here’s what you should know as a user of the system. 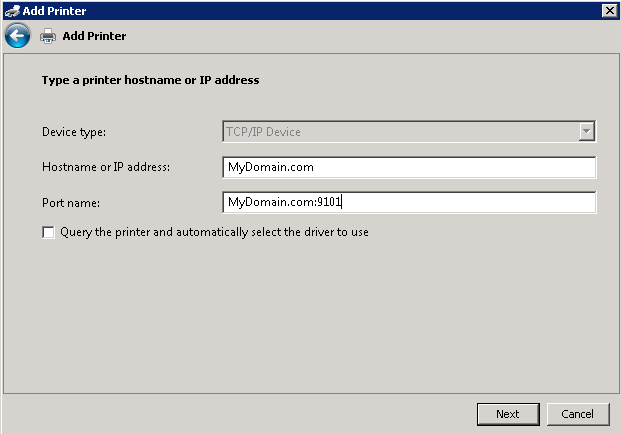 There are two ways to get a print job from the hosted server to a printer sitting in your office. 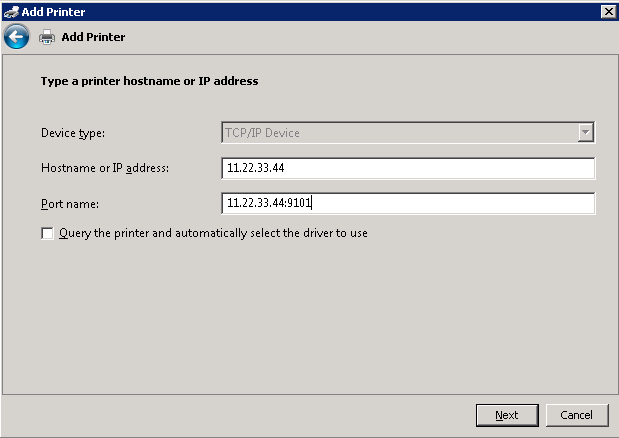 Option 1: Automatically mapped RDP printers. Option 2: Printing directly from the hosted server to the printer in your office with a direct connection across the Internet. Step 1: the document is first printed to a file on the server. 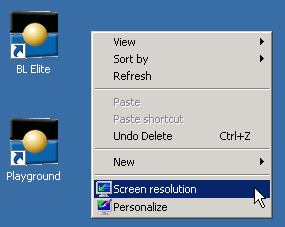 Step 2: the file is transmitted to your local computer through the remote desktop session. Step 3: your local computer prints that file to the printer that was mapped through the connection. With Option 2: Here’s what happens. Step 1: The file prints DIRECTLY to the printer in your office – the data being streamed across the Internet from your hosted server, directly to the printer. The printer MUST contain a network card/adapter and be connected to your internal network with a fixed IP address. Your Internet Router (the device that gets you an Internet connection) must have a “Port Forwarding” feature. (Optional: for a more secure solution, you may want a more expensive router that supports source IP filtering to restrict the inbound communication from the Blue Link external IP address). Your business has to have a fixed External IP address, or Optionally, you can purchase a Dynamic DNS subscription from a company such as DynDNS.org. 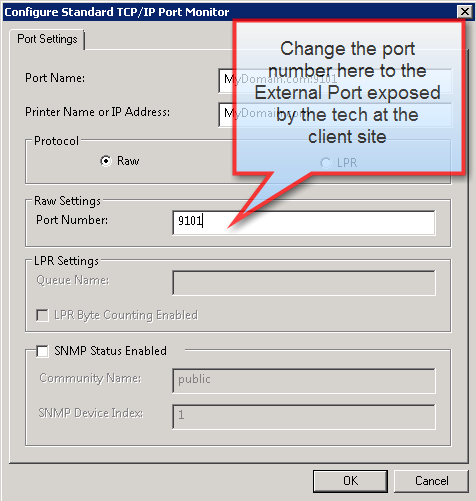 With those items in place, your tech configures a TCP/IP port forwarding rule to forward some external port to the specific internal port of the printer on your network. Almost every network connected printer by default will listen on port 9100. Once that is done, prior to attempting to map the printers on the hosted server, your technician should test that the port mapping rule is working by using a telnet command from a computer located outside of your office to test the inbound connectivity. 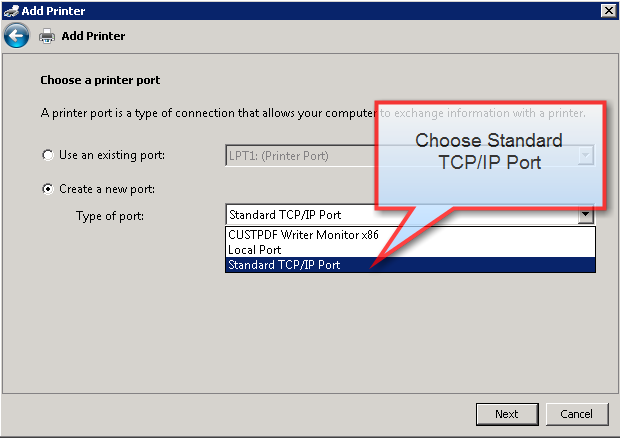 With the text “Could not open connection to the host, on port xxxx: Connect failed” then the port is not opened correctly yet and your tech still has work to do to fix it before anyone at Blue Link would be able to configure the printer. Make and model of your printer. 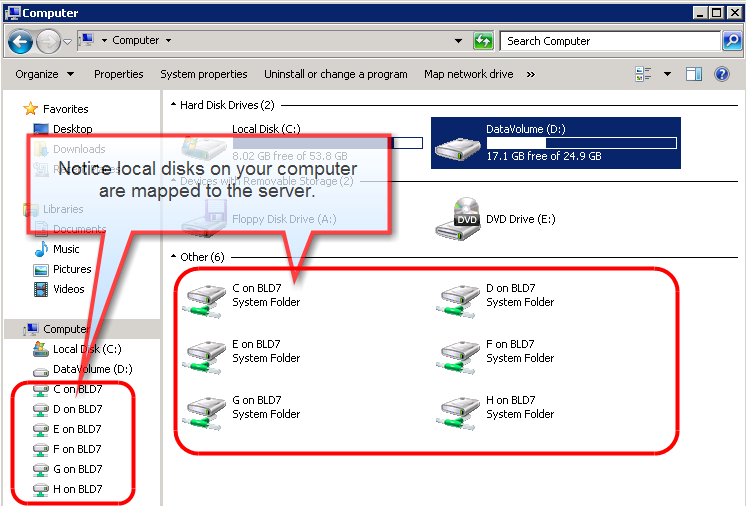 The steps shown here are for Windows Server 2008 R2, but are very similar in Windows Server 2012. There are really two steps to configuring this. The first step is to create a new local TCP/IP printer port for the destination IP and port, and then the second step is to add the actual printer. In the script above, you obviously have to change the IP address, port and computername to be the correct values in your environment. 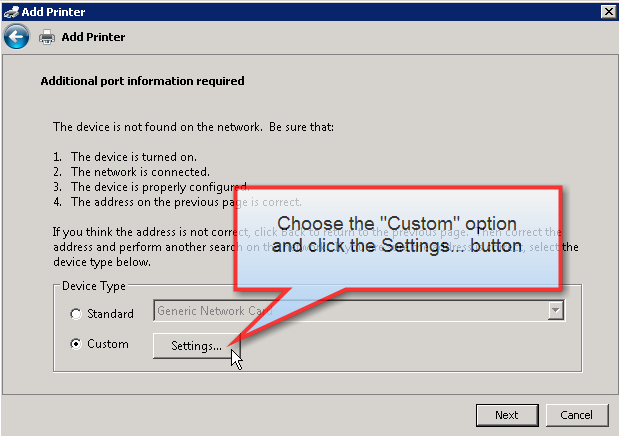 The computername is the name of the hosted computer to which you’re adding this port – not the name of the computers at the customer’s site. Using this Powershell technique to add the port, you’ll end up with a port that’s named: “Printer11.22.33.44:9101” in the example shown. The real advantage to this PowerShell method is that it bypasses Windows having to scan the ports. 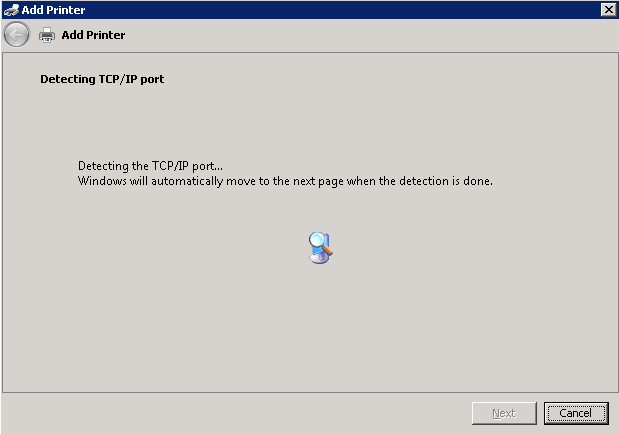 And on servers with a lot of mapped printers, the wizard approach shown next can take several minutes to run. In the Devices and Printers folder, click Add a printer. In the Port name box, put something you’ll recognize. Personally, I always include the external Port that I’ll be connecting to but that’s not a requirement – just helps you to keep things straight. From this point on you’re just following a regular printer install routine. Pick your printer from the list, or do the have disk thing to get the driver you downloaded for the specific make/model of printer loaded. Word to the wise: HP Printer Drivers are HORRIBLE in remote desktop environments. In most cases you’ll have to download the HP Universal Driver – assuming you can find it … sometimes it takes some digging, and sometimes you’ll have to cheat to get to the actual printer driver files. If when you try to extract the universal driver you get “friendly” printer driver installer start running move that Window out of the way and go look on the root of see for a new folder with a GUID or some other unique name that just got created. That folder has the less than helpful GUI installer you see but also contains the actual drivers folder you need – go copy that out of that folder and put it somewhere else. When you cancel the GUI it will auto-delete this temp folder so you’ll need the files somewhere else if you got stuck with that version of the Universal Driver Download. When you’re done the wizard you should be able to successfully print a test page. Change your Default Printer AWAY from the Auto-Mapped Printer! 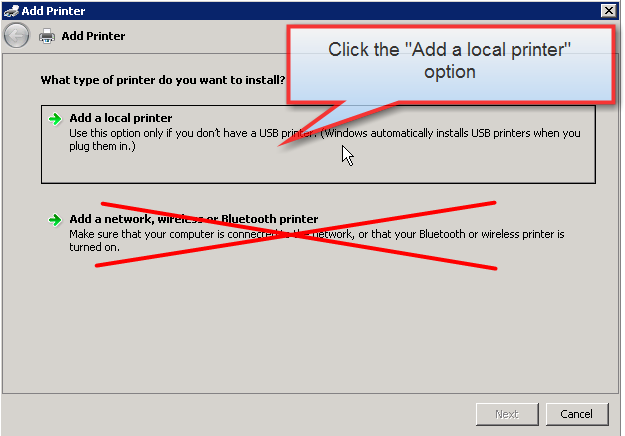 Once the printer is mapped and working, the next time you connect your computer, simply change your default printer to the pre-defined printer instead of using the auto-mapped printer. In the test I did today, printing time for an invoice for this customer went from approximately 15 seconds to approximately 4 seconds. A significant improvement. If you can map all the printers that the user needs from their office, then turning of Printer mapping entirely will speed up the entire connection because there won’t be that delay after initial connection while it enumerates and maps the local printers. Turning off the mapping also prevents the default printers from changing. 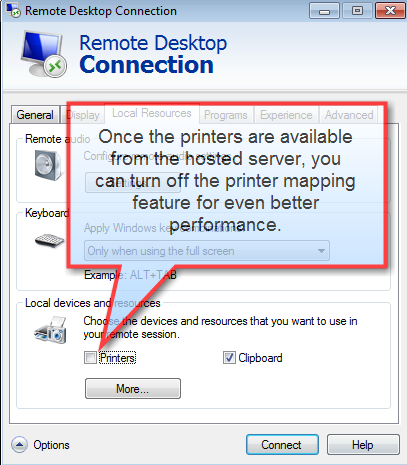 How to Turn off Printer Mapping for RemoteApp icons. A you haven’t talked about security, the way you have described is allowing anybody on the Internet to print to that printer. Also, how have you accounted for bandwidth control? If someone prints a 200-300MB file to that printer, on slower remote links, this would cripple everyone’s performance. I am not saying your workaround is a bad idea, just that what you are describing needs more thought into it. Security: Ideally, the firewall that exposes the port should be doing so with at least an IP Filter limiting the inbound communication to be from the hosted server’s IP address only. This would prevent “just anyone” from printing to the printer and would prevent port scans from spewing pages of garbage to the printer. Performance: Since we’re comparing direct printing to printing via an RDP Session, the direct printing should still consume less bandwidth and perform better than the user printing to an RDP printer, which actually creates an XPS file representation of the document that is then copied across the session to the local computer and then printed. Also, the odds of that happening in my environment are next to nil, but it’s a good point to raise in general.